Program-specific information is reported provided for at least 10 first-time candidates tested within the six-month reporting period. Candidate-specific information is not available. Reports are released in May and November; subscriptions are open to nursing schools only. Subscriptions for NCLEX-RN Program and NCLEX-PN Program Semi-Annual or Annual Reports are currently $350.00 and $225.00 respectively. Additionally, a joint annual and semi-annual subscription is $525 for RN programs and $337.5 for PN programs. The NCLEX program reports will be available for subscription by Canadian nursing programs in 2015. 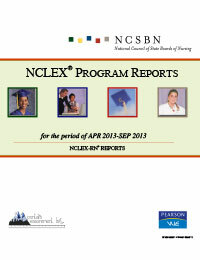 To order, please call 1.800.261.6227 or visit NCLEX Program Reports.